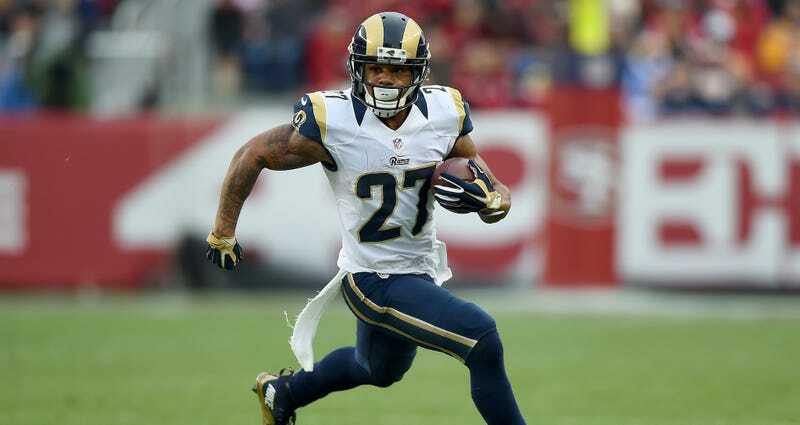 Los Angeles Rams running back Tre Mason was arrested yesterday in Hollywood, Florida and charged with resisting arrest, marijuana possession, reckless driving, and not registering his car. Local news station WPLG Channel 10 first reported the arrest. Broward County court records indicate that Mason had less than the 20 grams of marijuana on him, so he’s only been charged with misdemeanor possession. Mason, 22, was also reportedly taken to a local hospital after his arrest, but the reason has not been reported yet. If you know anything, send us a tip. Contact the author at patrick.redford@deadspin.com.